Two of the most popular Marvel games to have come out from Capcom, Marvel: Super Heroes and Marvel vs Capcom: Clash of Super Heroes are now being compiled and released on Xbox Live Arcade and PlayStation Network! 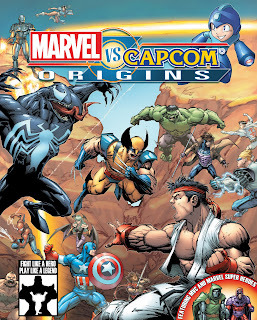 The new title called Marvel vs Capcom: Origins offers both the one-on-one gameplay of Marvel Super Heroes with its unique Infinity Gem system and the two-on-two carnage of the original Marvel vs. Capcom: Clash of Super Heroes, featuring a tag system, assists, and the wild Duo Team Attack. Bringing forth a host of features never before seen in these games, Marvel vs Capcom: Origins features GGPO-enhanced online play with 8-player lobbies and spectator mode, HD graphical upgrades, dynamic challenges and replay saving. The game will be going for 1200 Microsoft points or £11.99, September this year.